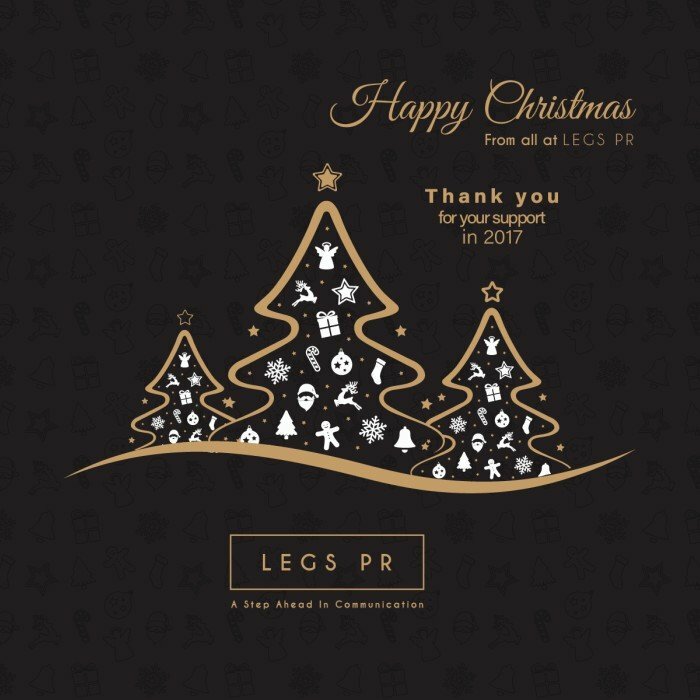 This is Legs PR’s first Christmas and we just wanted to take time out to thank everyone who has supported us on our business journey so far. We are now just over eight-months-old and have had tremendous support, from those who helped when we were first setting up, to those who put faith in us to deliver their PR services when we were so new and now to all our fantastic clients and great suppliers. We look forward to working with you in 2018 and would like to wish you all a very Happy Christmas and a prosperous and healthy New Year.